Ever gone back to a bottle of bubbly the next day, only to find it's gone flat? 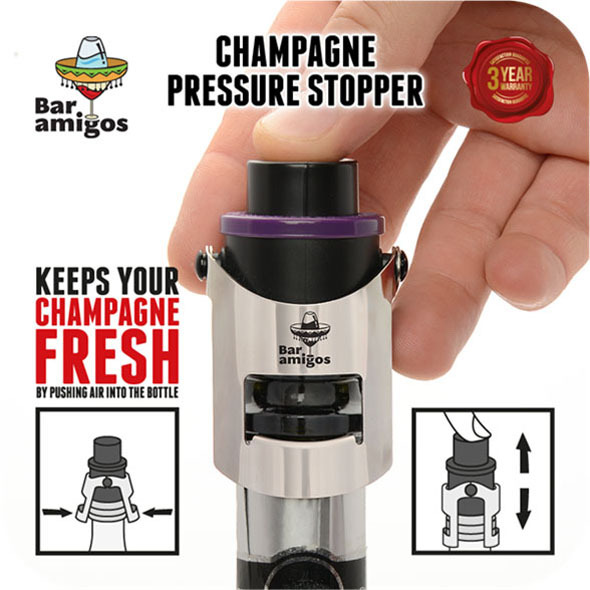 With this Bar Amigos Champagne Pressure Stopper that never has to be a problem! 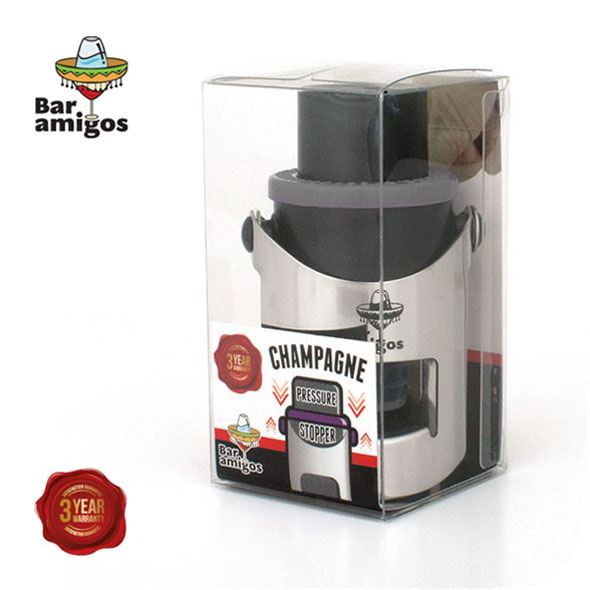 Thanks to the unique air-pump function, the stopper is able to preserve all the flavour and fizz of the wine even after it's been opened. The handy date reminder switch also lets you document the day on which you opened the bottle, so you never have to lose track of how long it's been kept! 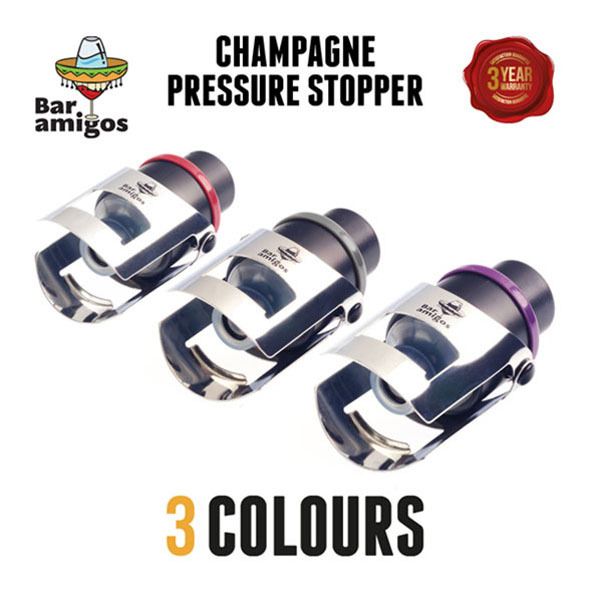 This Bar Amigos Champagne Pressure Stopper is a tool that every Champagne and sparkling wine drinker should have in their kit! To use: Place the stopper on the bottle and close the metal wing locks to secure. 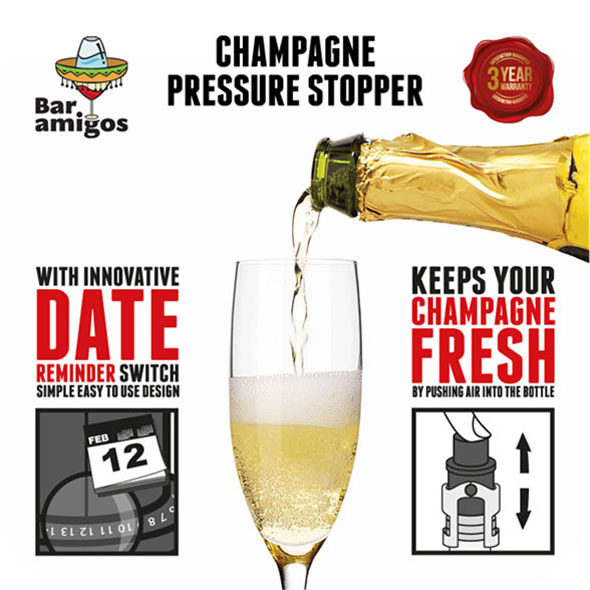 Once it is locked in place, push the button down several times to pump air into the bottle until the button is stiff. To release: Simply place your hand over the cap and loosen the wing locks.